Thanks for stopping in on tonight’s live stream, right in the middle of Santa’s Workshop going full bore. Lots of great questions, hopefully some good answers, too. 28:40 Plane or resaw thick stock? 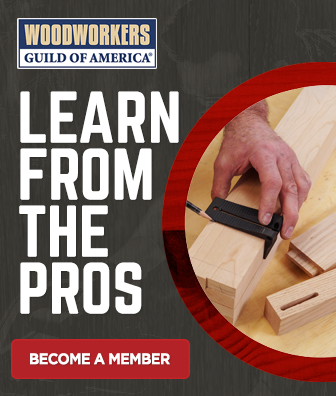 53:17 Table saw or router for dadoes? 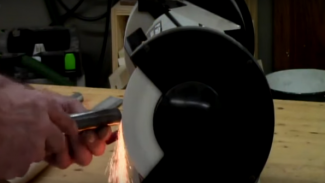 53:40 Bandsaw or thickness planer? Thanks for all of the information you share! Thanks for watching. We’re so happy to be coming to you with much better technology. Check out the great audio and video on this live stream. And, check out the great questions, turning to tablesaws, we covered a lot of ground. 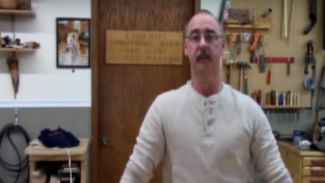 Thanks for tuning in to February’s WWGOA LIVE with George Vondriska where he answered your woodworking questions live from his shop. In case you missed it, you can watch the full video here. Make sure to tune in next month for another WWGOA LIVE. See you then! We had a guest for this session: Joni Van Dusartz. 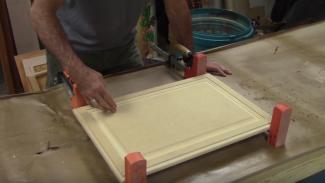 Joni has been woodworking for over 20 years, including running a commercial cabinet shop. 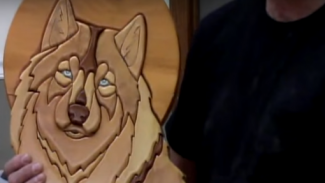 From CNC to finishing, Joni has a lot of woodworking experience. She brought along some of her intarsia for “show and tell,” which lead to some great questions. The luck of the Irish was with us, we had no technical issues at all. Here’s what we covered, and where you can find it in the archived video.